"Connection of Minds" into "Dull Razor"
4. 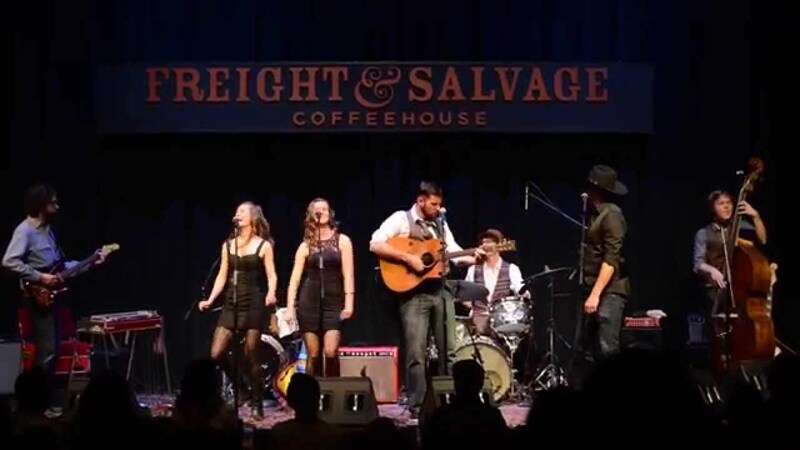 "Fist Full of Dollars"
Tom Rhodes is a powerhouse Americana/Alt-Country Artist whose distinctively raspy, vocals & compelling melodic hooks deliver knock-out performances. He was featured on The Voice and has original music that was honored by the Songwriter Hall of Fame in 2015. 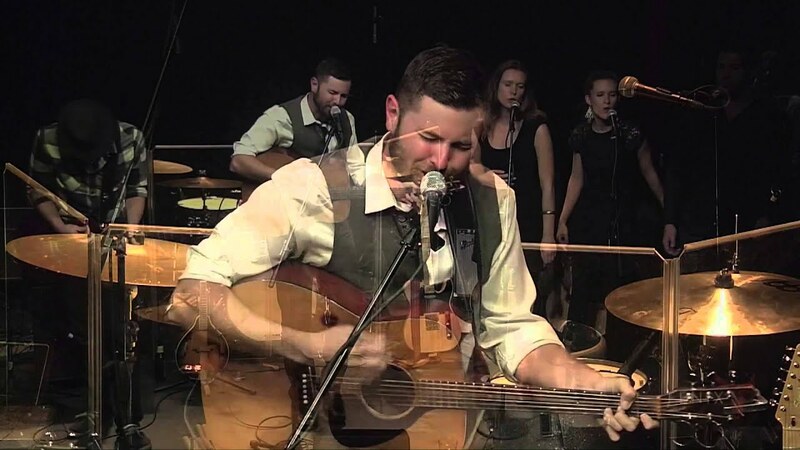 Tom possesses a range of vocal stylings that cross over every genre from folk to jazz, pop to hip-hop, rock and country, and everything in between. He can play it all and delivers a performance that can either blend itself well into the background and/or fully engage an audience via his stunning musicianship, lyricism and evocative performances. Tom really knocked it out of the park for my wife's birthday. We had between 30 and 35 attendees, mostly 40-somethings, and Tom's music selections were a huge hit. I would absolutely recommend Tom for your next event -- he is an incredible guitarist and singer and a real pleasure to work with. Thank you! You have a great group of friends! Tom Rhodes was hands down one of the best parts of our wedding this week! He played acoustic during the ceremony as well as cocktail hour and learned our songs and had them studio recorded for us to keep. We were lucky enough to see Tom play a live gig in Sonoma a few months prior and were blown away how good he is and easy to work with. We would absolutely recommend Tom for any future events and are hoping to go see him again soon! Oh man!! You guys are awesome. Tom is s great talent. He is easy to work with and professional. Most importantly, he changes the entire dynamic of an evening with his voice. People leave saying “wow”. Tom was on time, professional and friendly - his music was the perfect addition to our corporate dinner. Couldn't be happier! Thank you for having me!!! It was wonderful to meet you. Tom was a fantastic performer at our event - he showed up early, played amazing music that everyone was super impressed by, and was very professional and friendly throughout. Thank you Tom for adding so much to our event! Thank you for having me!! You guys are awesome! Tom was great. He was on time to a rather hard location to find and played the songs for our ceremony that we requested. Very professional. We would recommend him to anyone. Mr. Rhodes is a professional! When you hire a professional musician your expected assumption is to receive a professional performance. Mr. Rhodes met and exceeded our expectations of a professional musician. More impressive was his humility, respectful demeanor and ease to work with. Many times when working with someone of his talent you end up having to deal with a little arrogance. It was refreshing to work with someone who if anyone deserves/have earned to be arrogant isn't. I am an event planner and we hired Tom for a ribbon cutting ceremony. He was a HUGE hit! Everyone loved his music and he was so pleasant to work with. I can't wait to work with him again! Tom provided excellent entertainment for our wedding ceremony and reception. He was flexible and professional and is very talented! He was so open to our ideas and turned the songs he sang into his own, beautiful renditions. He was even able to DJ after singing for our ceremony and cocktail hour! Our guests all loved him and we couldn't be happier. We would recommend him to anyone, anytime. This is A a 10 star performer!! We had him play outside under the stars for a select group of 10 on 60 acres overlooking the wine country! His voice is so strong and crisp it is amazing! Tom played (at my asking) a mixture of his own label and some great cover music that blew everyone away. Counting crows - first time he ever played Mr Jones but knocked it out of the park!! Little Feat- I think I saw the bright lights of Memphis! Unbelievable talent that should earn 50 times what I paid for a private evening. We have great time. Great singer. Thank you! I had a great time! Happy Birthday Nestor!!! Tom played at my husband's surprise 40th birthday party and he was a massive hit. I provided Tom with a few of my husband's favorite artists and songs ahead of time and the performance was spot on. He had a great feel for the party and really enhanced the environment. He played a perfect mix of music, including some of his own bluesy songs. I couldn't have been more pleased. Many people asked for his card, including the owners of the brewery. Thanks, Tom! Thank you! I had a blast and you guys have a great crew! Tom Rhodes performed at our wedding, singing and playing guitar. His playing set the tone for an intimate, beautiful and relaxed affair. He played for our ceremony and it could not have been more perfect. Tom was always quick to respond to us in preparation for the wedding, and was exceptionally easy to work with. He is also a really nice, easygoing person who is great around guests. I would highly recommend Tom for anyone looking for a singer/guitar player, he truly made our wedding so special and I can't wait for the wedding video to hear his playing again. Tom played for our office crew in Redwood City and put on a solid performance. Maintained energy and entertainment for our team to have some light hearted times in the midst of a work day. We all really appreciated the talent, song writing, along with the ability to play some covers requested on the fly. Thank you! It was a pleasure to play music for you guys and you were a gracious host! Tom is a true talent. We loved having him play at our event. He has an incredible voice and made the evening so special! We booked Tom for our wedding ceremony and reception in Livermore, CA. From beginning to end, Tom was incredible. He took the time to learn the 3 songs we wanted for our event and each was better than we imagined. Tom was flexible, accommodating, and personable. Many of our guests approached us during and after the event to compliment Tom and ask us if we knew him personally - that's how natural his performance was. We highly recommend hiring him for all of your live music needs! ❤️ Thank you and congratulations!!! Tom was amazing! Can't wait to have him at our next event! I can't wait to play at the next one! You guys were awesome! Easy to work with, great line of communication, reliable and talented! Tom helped me with my surprise proposal in San Francisco. He performed our favorite song right before I popped the questions! :) He was very reachable and flexible with what I needed and of course he's an amazing singer! I would definitely recommend him and hopefully I will be attending one of his performances soon! Tom is a true musician, not just another singer. We were so lucky to have Tom perform at our party. Our guests were so blown away by his talent! We are already planning our next private concert! I booked Tom to honor the passing of my father. He was early and very personable. He customized his performance for us and was very delicate and caring during this emotional time for our family and friends. He is a fantastic guitar player and has an amazing raspy voice that really pulled together the warmth and celebration of my father’s life. He is kind and professional and an all around down to earth musician/artist. I will definitely book Tom again and appreciate his delivery. From the very beginning I knew I had made a great choice in Tom Rhodes. His manager Sara was quick to respond to my inquiry and got back to me very quickly every time I had a question. When I reached out to confirm both Sara and Tom were very quick and made the process seamless. The music was fantastic! This was for our wine club members and they loved Tom's music, as did we. I would definitely book him again for another event and can't say enough good things about him. He was professional, friendly, and talented. Tom performed at my now husband and I's wedding this past weekend. Absolutely amazingly talented. Tom is a talented song writer and his voice and lyrics are soo beautiful. We had some requested songs to be played by other artists throughout the night, and he by far surpassed our expectations. Learning and taking his own spin on our requests. We requested "True Colors" for our 1st dance, and BY FAR the BEST rendition we have ever heard. I would not hesitate to book him for another event, and will be highly recommending him to any of our friends and family looking for a musician. Tom was great with communication leading up to our event, and made every effort to ensure we were confident in what he would be delivering. Our guests have not stopped talking about our Music at the wedding. We will definitely be seeking out venues where Tom is playing to hear more of his amazing music. When you hire Tom, you are working with a National-Level-Talent, professional who shows up on time, ready to go. 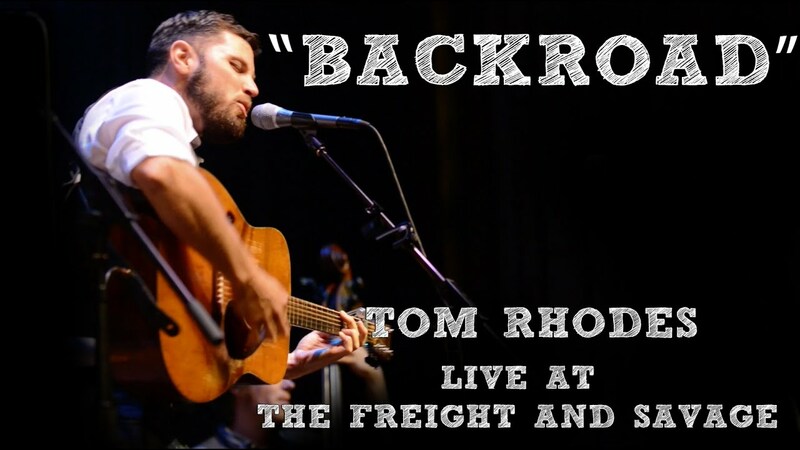 Tom is a world-class, full-time, singer-songwriter who regularly plays live shows several nights per week. When booking Tom you can rest assured that are working with the best. he will arrive early, do as requested per your event contract, and is flexible in switching things up if needed/requested by you. Client satisfaction and being asked back time and again is what makes it a bit challenging to book Tom, so get on his calendar early! His sound is something that will stay with you long after your event is over. Strip away the fluff of Pop, throw out the Country flair, remove the cynicism of Alternative, and turn up the beauty of Americana, and you begin to have an idea of where Tom’s music falls. 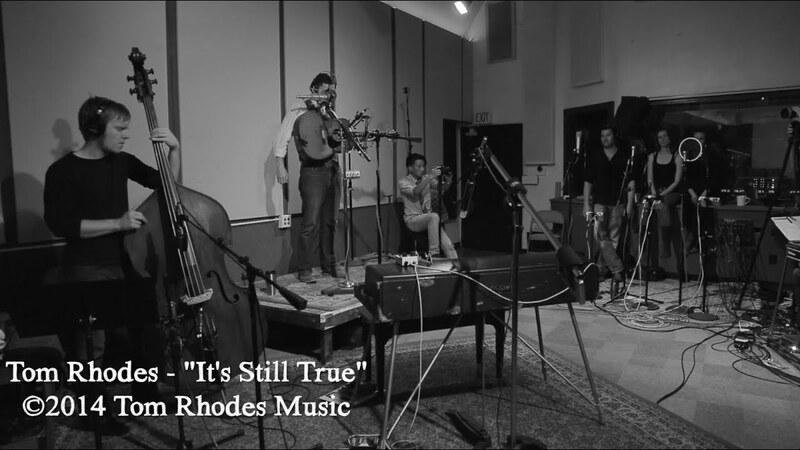 Tom Rhodes plays real, honest music that delivers a message without sounding like a lesson. With his last album “With or Without” (2014), Tom has moved firmly into the Americana genre and created a warm place for his raspy road-worn voice and deceptively simple guitar. Through thousands of shows around Europe and the US, Tom has built a diehard fanbase that has seen him through the release of four independent albums: “Tom Rhodes” (2004), “No Apologies” (2006),“Better Son” (2010), and With or Without (2014). They have followed him from small bars in the DC area to venues like the main stage of Walnut Creek Amphitheater in North Carolina, the Paramount Theater, Great American Music Hall, and The State Theatre. In 2015, Tom was honored by the Songwriter Hall of Fame for his song “Fist Full of Dollars”, which they placed second in the annual songwriting competition. His music has been licensed and used on network and cable TV shows, feature length movies, and commercials across all platforms, and he has done it all with his well worn 1970’s Yamaha Guitar and his voice. Tom has spent time learning and playing in some of America’s musical heartlands. Born in Houston, Texas, he then moved to the Washington, DC area as a child and bounced around to places like Memphis, New Orleans, New York City, and even the Caribbean, places that all left indelible marks on his eclectic songwriting and performing style. In 2011 he moved to Oakland, CA where he currently lives and works on new material and follows some of his other passions, including illustration and videography. When in the Bay Area, Tom plays at some of the finest venues available with his all-star band, including Oscar Westesson (Bhi Bhiman, Quiles & Cloud), Andrew Laubacher (Con Brio, Kelly McFarling), and Tim Marcus (Lia Rose, Jessie Bridges). The band is currently in the studio recording a new album to be released early in 2016. With hundreds of unreleased songs, and thousands of stories still waiting to be told, there will be years of new material to come from this lifelong troubadour. Tom can provide his own sound for events up to 75 people, within driving distance of San Francisco. For outside events, Tom requires a PA with Phantom power, a DI, microphone stand and cable. (For acoustic shows). Tom typically plays all of his own original music. However, for many gigs he often works in a healthy mix of cover tunes that he taylors to the event, crowd demographics, and what requests come his way. There are so many influences though the standout are: Paul Simon, Van Morrison, Jim Croce, John Denver as well as Willie Nelson, Neil Young... and many more.